Watching the Dead Superheroes Orchestra perform is a little like watching the Chicago Symphony Orchestra. That is, if the CSO had an electric guitar section, dressed in all black, and sang about death. 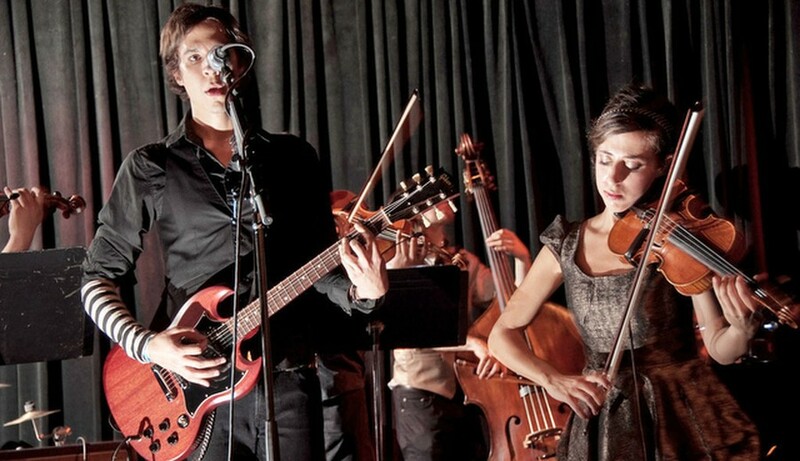 The 15-member gothic chamber rock orchestra, which includes guitar, violin, viola, bass, drums, cello, a keyboard, and a choir, will be playing this Friday at Mayne Stage Theater along with Atomica Project and Grace Kulp. Members of the Orchestra spoke with the Maroon about gothic rock, bringing people back from the dead, and air guitar. Chicago Maroon: Where did the name the Dead Superheroes Orchestra come from? 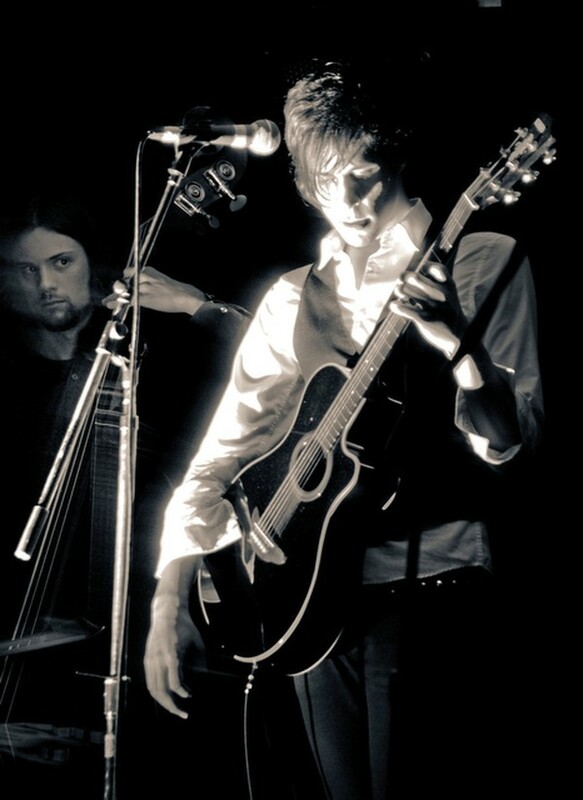 Mark Winston (vocals and guitars): The name comes from a rock opera that my friend from college wrote the story for. I started writing music and sketches for the story on my own in 2005, and then my friend helped me write a script, which is called “The Dead Superheroes.” We called the band the Dead Superheroes because we mostly play music from that script. MW: That question is off-limits. CM: What genre would you classify your music as? MW: We started calling the band gothic rock because of the subject matter. Obviously you’ve noticed that we have a lot of songs about death and coming back from the dead. We [more often] refer to our band as a gothic chamber rock band—gothic because of the subject matter, chamber because of the strings, and rock because we play rock music. CM: Is the preoccupation with death a central theme of your work? MW: I use death as a commentary on the state of the world. In our song “The Last Superhero,” one of the characters from the rock opera kills himself with his own guitar. He’s giving up, but he’s also saying that anything, including death, is better than what this world has become. It’s easier to explain in songs than in real life…I’m also pondering the prospect of bringing back the dead, in a Frankenstein sort of way. CM: So bringing back the dead is something you guys are interested in? Julia Berian (viola): We’re in that business. MW: I’ve often thought, Why can’t we bring people back from the dead? Not only scientifically, but also metaphorically. Why can’t we instill in them the humanity they used to have and have now lost? CM: How long have you guys been playing together? MW: I’ve been running the group in some form or another since 2004. Q, the percussionist, and Shani, the violinist, have been a part of it since last December. Craig, the guitarist, has been a member on and off for the last two years. Julia, Adam the bass player, and Carlos, a violinist, have been part of it for longer. CM: Mark, your twin brother Craig (guitarist) is also in the band. Did you grow up playing music together? CM: On the air guitar? MW: We did have a drum set made of buckets and pans. CM: Many of the band members attended the University of Chicago and performed in the Chicago Symphony Orchestra together. How has this classical background influenced the band? JB: It’s using what we know in new ways. Shani Schechter (violin): [Classical] music inspires us because it’s so well-written. CW: We have a lot of rotating band members, and sometimes it’s strange for the more classically trained players to adjust to the way rehearsals are run. Playing in a rock band is very different from playing in an orchestra. Q and I are the only ones in the band who don’t really know what Mark means when he says, “Let’s take it from measure 58.” But for a long time when Mark would say, Let’s take it from the chorus” the string players wouldn’t know what he was talking about. There are basic little things about structure and the way rehearsal is run that make it hard for traditional players to adapt to a rock band, but I think they’ve done it very well. CM: Why should UChicago students go to your concert on Friday? MW: A lot of people enjoy our stuff because it’s more complex than a lot of rock music. There’s a lot of emotional and intellectual depth to it. We try to bring that depth to performance as well. We spend a lot of time working on dynamics. Though the subject matter is somewhat challenging, I find it a very cathartic experience to listen to and play music about death. Even though it’s really dark music sometimes, I think it’s really fun music. It’s whimsical. CW: As far as the local and maybe even national music scenes go, there aren’t many groups doing what we’re doing—we’re a string ensemble playing rock music. This band is set apart from a lot of groups in the way the music is written and the drive for complexity. I think the current scene is all about simplicity, having as few members in the band as possible, and overall sounding as underwhelming as possible. When you see the Dead Superheroes, you’re seeing a string section, a choir, and just a ton of really talented musicians. It’s important for anyone to see—even your 80-year-old grandma. Because this is an all-ages show. Also, the venue is an old Vaudeville-style theater in Rogers Park. It’s the most gorgeous theater we’ve ever played in. So see it as a black tie affair. Make a night of it, dress up, and go see the orchestra.